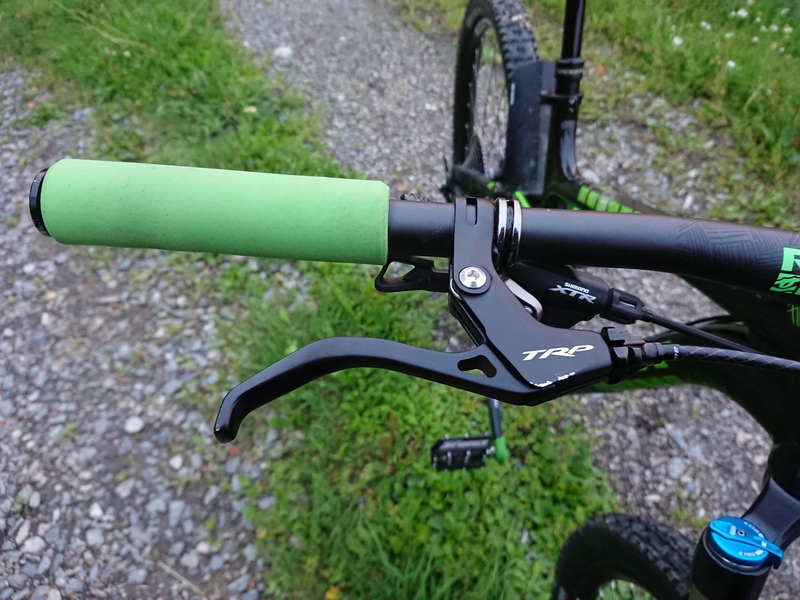 I have used Esi grips since 11.2015 until January 2018, so I am very familiar with them. But now finally I revised the review, new pictures, improved text. I wish I did it sooner but did not get around to doing I until now. 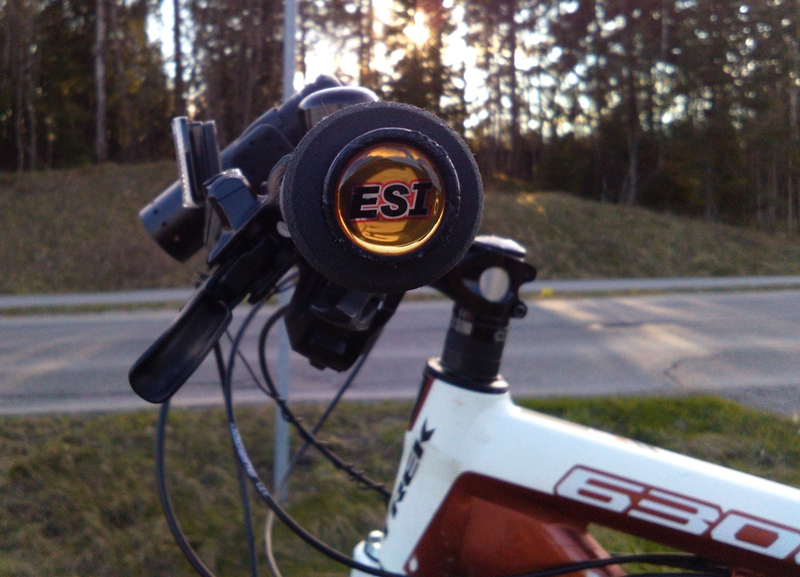 I put them thru its paces, I rode with them in -11c to summer heat, in most weather conditions. 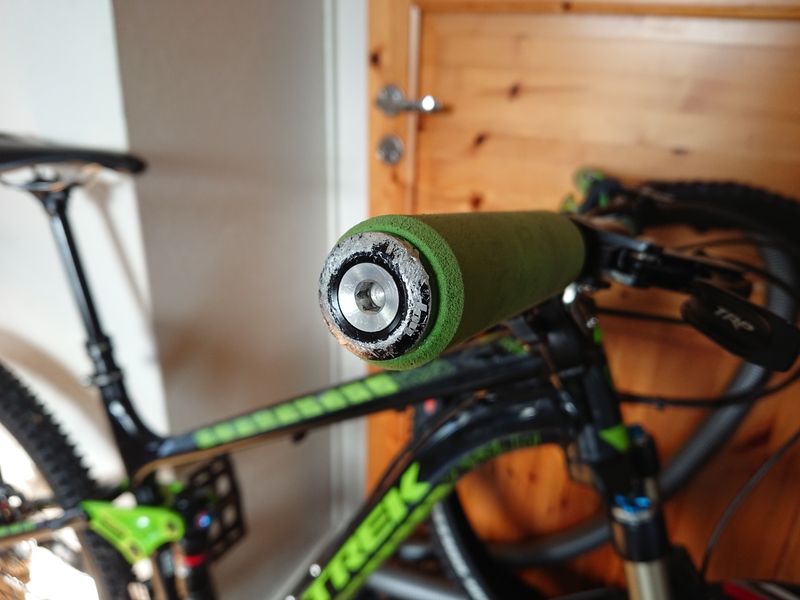 I went from hard and too small diameter grips to Easton MTB grips, which was torture to ride with so I had to get something better, but ESI Grisp were just a temporary solution. I went for the 34mm diameter grips, they fit me perfectly. I have been using these grips since 2015, they definitely work, but not for long, So I had to swap them out for a fresh set after few weeks. 10 colour choices, I got green fits my fuel-ex perfectly. stays in place, does not slide off. not effected much by the subzero temperatures, they work in the summer heat and in the freezing winter. 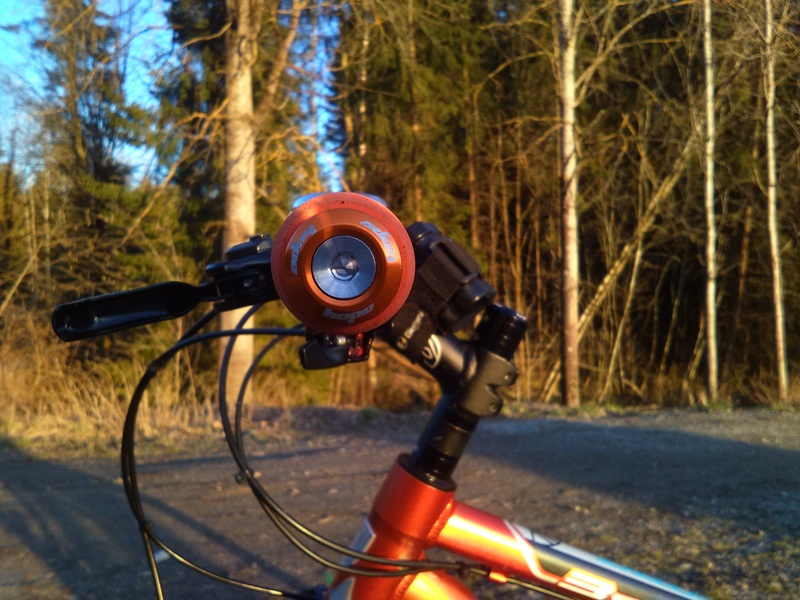 they can be used in the winter, I have ridden few days with -10 and more, with the grips, without any issues. not as grippy as rubber grips. but they only last me 4 weeks, they become too soft and lose the shock absorption, and at that point, they are torture to ride, so they are expensive in longterm. In the In the winter I use 2.1 Suomi Gazza Extrem studded tyres with 4psi higher pressure than my summer setup with Maxxis 2.3 tyres, which becomes torture to ride with once the grips lose the shock absorption feature, first comes the loss of shock absobtion then the grip becoems more fragile and gets ripped apart easier and easier, then they begin to spin slowly, but this happens over the course of smany weeks, with higher wolume tyres I could ride them for bit longer, but not with my current winter setup, it’s torture, so I had to swap to fresh grips every 4th week, which cost way too much. 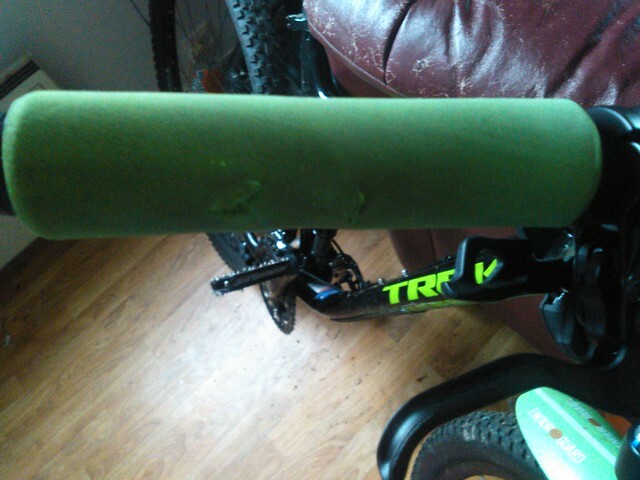 birds can damage the grips like here, after riding with them more than a week after the bird attacking them there are holes so deep I can see the handlebar, so if you crash hard you will rip the grips part. I can’t recommend these grips. I recommend looking into other options instead. The end caps are junk, you can replace them with proper alloy end caps instead. The best way to install the grips is by using a compressor. I put the grip under running hot tap water to heat expand it or fill the sink up with hot tap water, but a using compressor instead is much easier. DON’T USE A SCREWDRIVER TO PUT THEM ON AND OFF!!! It will damage the grips on the inside and the grip can rip apart. 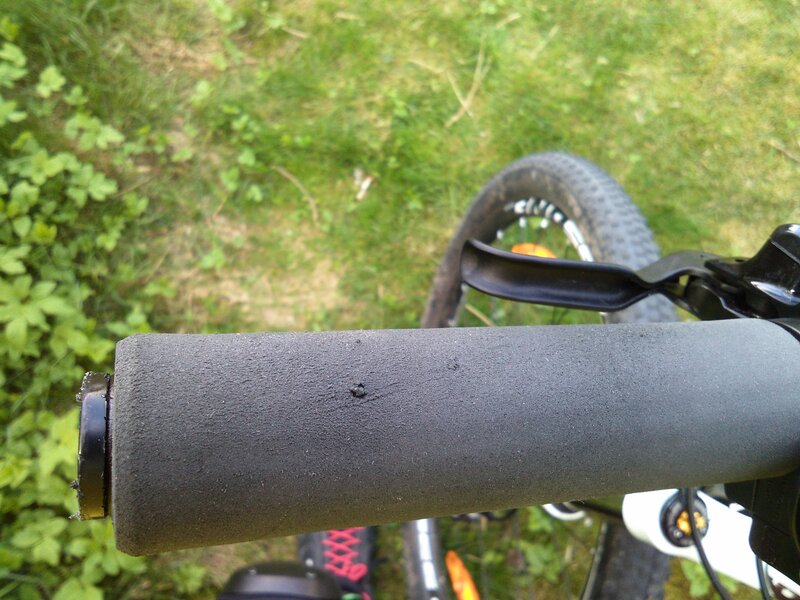 Don’t use hairspray, even if the bike mechanic tells you to, it might stink, and make the grip slipperier on the inside. it’s dangerous stuff to breathe in.